Just because I’ve been writing a book and blogging less frequently doesn’t mean that I’ve forgotten about you. As the days have grown shorter and darker, I’m reminded of all the places where I’ve found light and warmth over the past few years. One of those places is right here, on this blog, writing for you, and sharing with you. The Midlife Second Wife is where I’ve made some lasting friendships, met more wonderful people than any WordPress statistic could reveal, and where I’ve encountered extraordinary opportunities. This is never more evident to me than when I’m caught up in preparations for the holiday season. Why is this so? I think it’s because this is such a mindful time of year—a time when we move through our days with particular intention, when we think of the people we love who are no longer here, and the ones we cannot wait to greet with open arms. I wish you and your loved ones all the illumination and warmth of the holiday season—whether generated by a menorah, by the light from a mosque, by the moon and stars, or, as at our home, by the twinkling candles of a Christmas tree. May the light find you and shine upon you gently, and may peace, love, and happiness be yours, now and throughout the New Year. 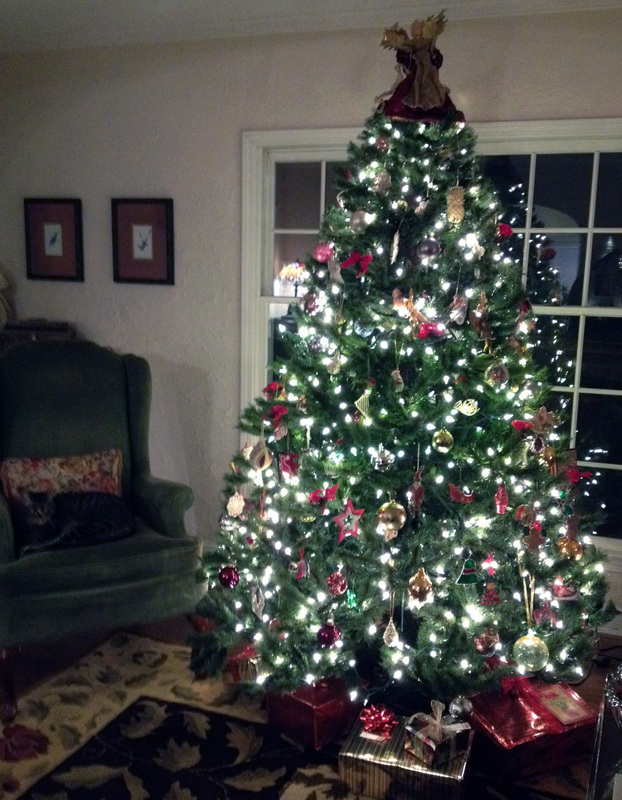 From my Home to Yours, Happy Holidays! 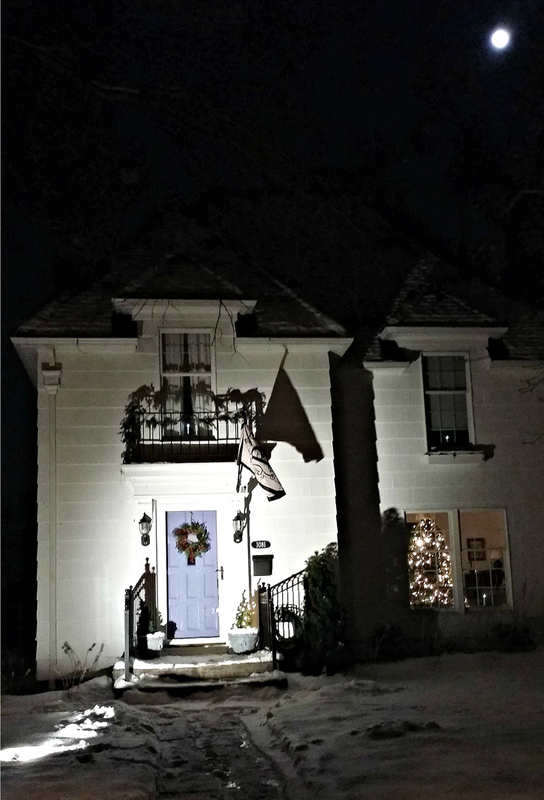 By the light of the silvery (full) moon earlier this month, I wish you and yours a happy holiday and a joyous new year! 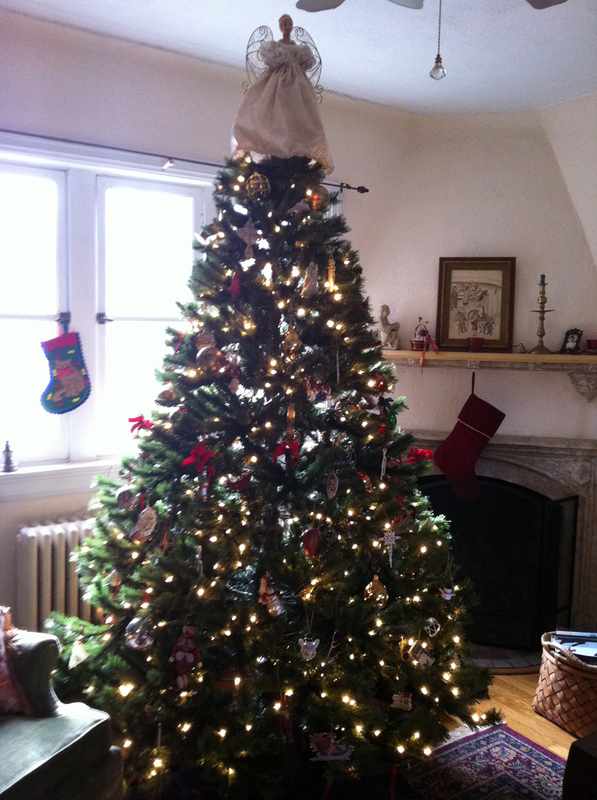 From our house to yours, we wish you peace, love, and joy! Happy Holidays! Merry Christmas! Happy Hanukkah! Feliz Navidad! Joyeaux Noël! Nollaig Shona Dhuit! Buone Feste Natalizie! Vrolijk Kerstfeest! I’d Miilad Said Oua Sana Saida! 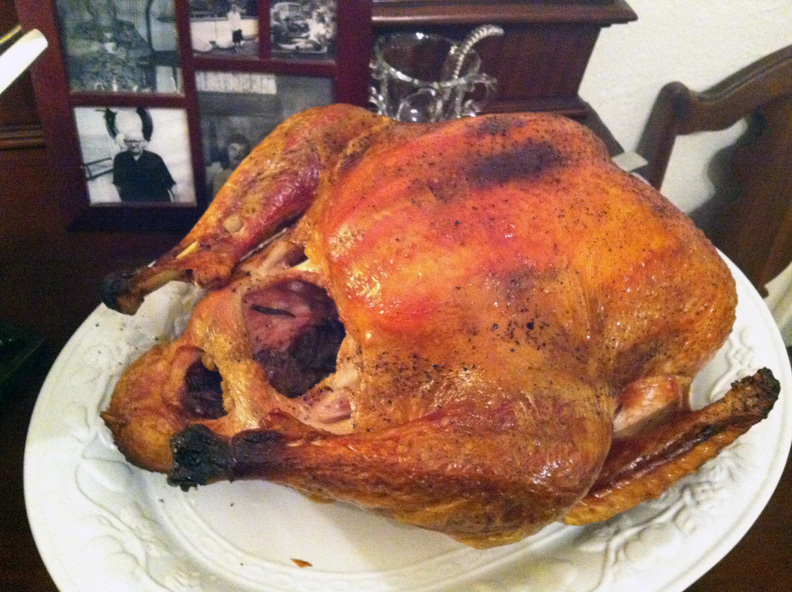 The turkey I prepared in 2010, when my stepsons celebrated an early Christmas with us.